Cool Graphic, original design and beautifully rendered hand pulled print by MATLEY with eco friendly ink (no clip art here). This shirt looks great on everyone! A flattering neck neckline and unique triblend fabric is incredibly plush and soft that makes for a slim fit on the body without compromising comfort. 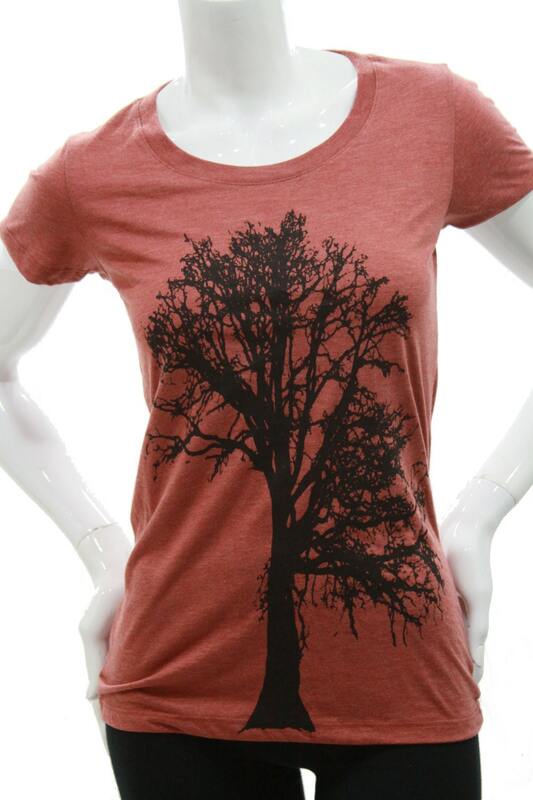 Simply type in "oak" in our store seach engine for more clothing style. received quickly and love it. thanks! Thank you so much for your purchase from my Etsy shop! Please follow me on facebook at www.facebook.com/thelovelycrow to learn about new patterns and take advantage of occasional promotions! Thank you!